The school hosted an orientation session on Microsoft Tools for teachers of grade III to XII. 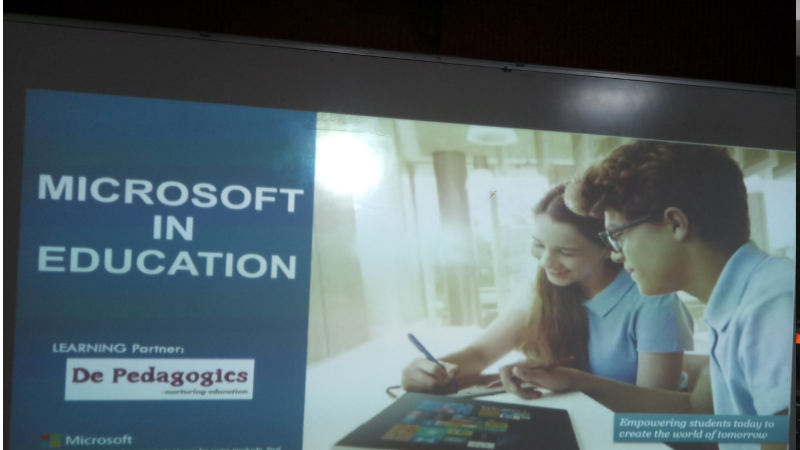 The workshop was designed to introduce various modes of Microsoft education programmes and tools to the participants and on board them with the Microsoft Educator Community that hosts self- learning and certification for educators. 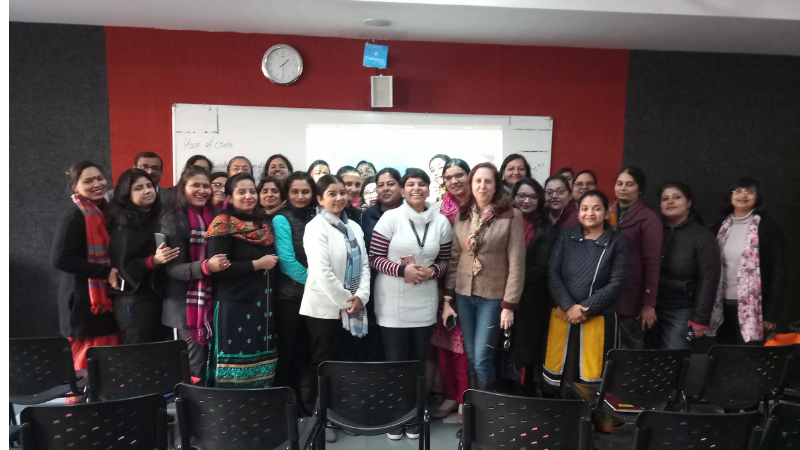 The workshop was conducted by Ms Jyoti Chaba, the co- founder of De- Pedagogics and Ms Suman Chawla, Training Consultant with British Council. Microsoft Education Programme allows educators to collaborate with the faculty around the world thus keeping them abreast with the latest in terms of education and technology. It facilitates a liaison with resource persons of other schools, guest speakers who are experts in their field of knowledge, gives options like virtual tour, and mystery skype to teach subjects like social science in an interactive manner to name a few. The entire programme is based on the paradigm of collaborative effort by teachers to make the students future ready. During the workshop, educators became registered users of Microsoft Educator Community Portal and got certified with Microsoft Innovative Educator Badge.